Typically we share our own achievements related to the number of units connected to Wialon. Not this time though. 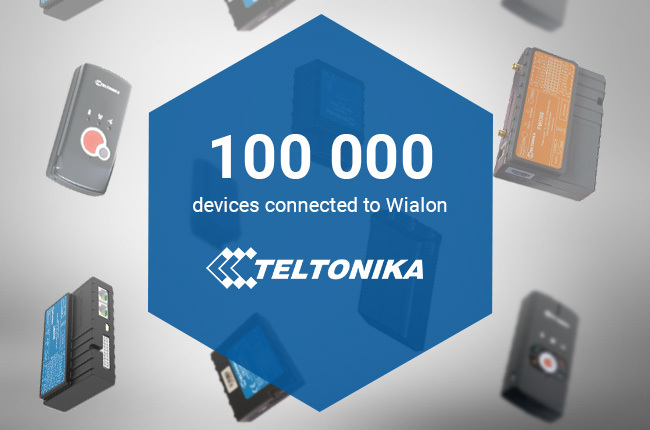 Today Teltonika, our trusted hardware partner and the current leader of Gurtam Rating of Manufacturers, hit a new record – 100 000 devices connected to Wialon Hosting! Congratulations to Teltonika and thank you for a job well-done. Keep up the good work and the new milestones won’t be long in coming. In our turn, we promise to continue constantly enhancing Wialon system, making it even more competitive in the market.